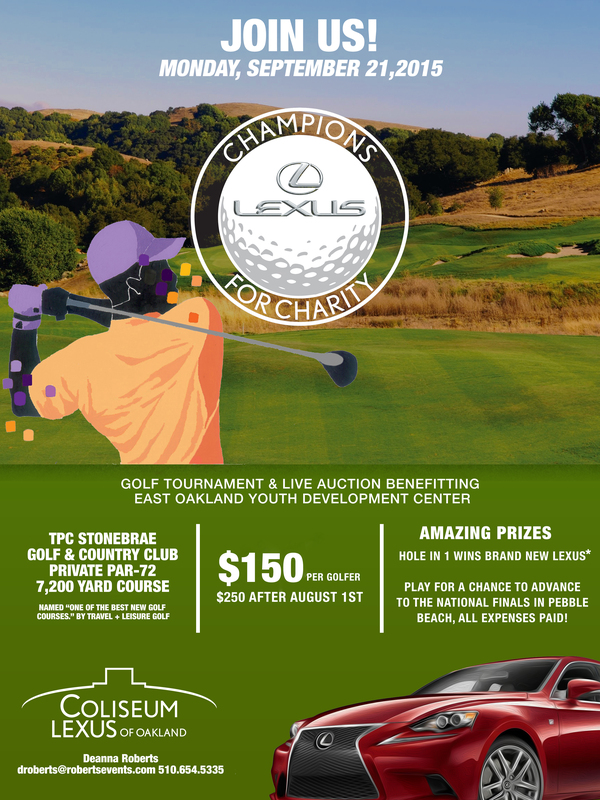 Play a round on the lovely par-72 course at the private TCP Stonebrae Country Club in Hayward, CA! 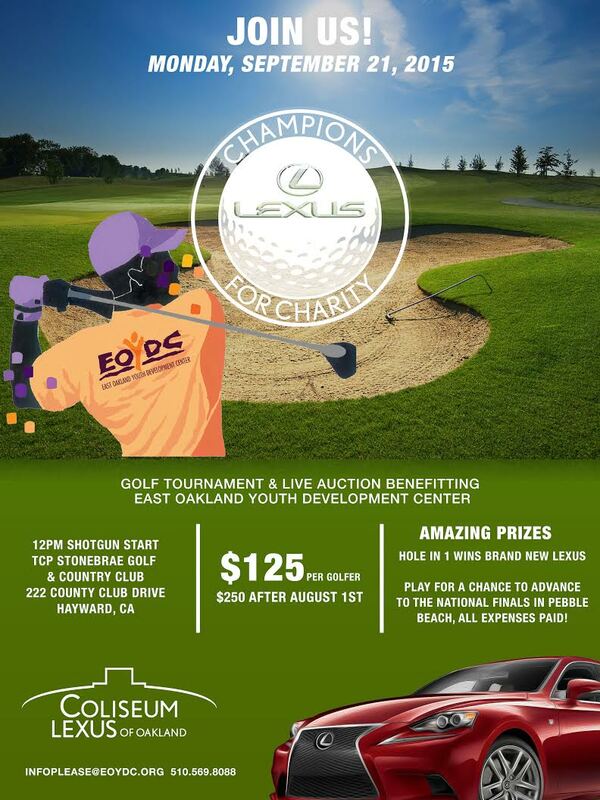 Our sponsor, Coliseum Lexus of Oakland is also offering a brand new Lexus* to anyone that hits a hole in one! This fundraiser is truly an amazing event for a good cause. Call today to register at 510.569.8088.